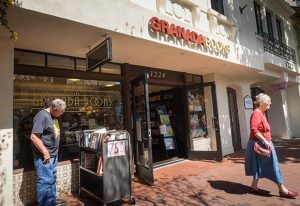 With the rise of book-selling giants like Borders and Barnes & Noble in the 1990s, followed by digitized selling popularized by Amazon in the new millennium, independently owned bookstores like Granada have become a rarity. 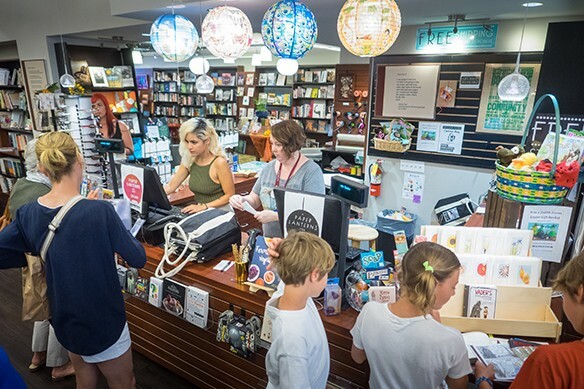 Sales at independent bookstores across the country have been on the decline for years, and now Santa Barbara will say goodbye to one seller still trying to give the brick-and-mortar experience. The State Street store will close May 3 after first opening in 2013 — the first year since 2008 in which more independent bookstores opened than closed nationwide, according to the American Booksellers Association. The store will mark 40 percent off all its inventory beginning April 3 and will continue hosting events such as the Poetry Zone on April 11, which has been running since the store opened. On March 16 Granada Books launched a fundraising campaign to raise $50,000 by the end of March to stay open past the month of April. While the store was able to raise thousands in just days — reaching 30 percent of its goal within a week — it ultimately was about $30,000 short of its $50,000 goal. “It was pretty remarkable — what a wonderful outpouring of support from our community,” Hoshida said. She said donors can have their money refunded by revisiting the same GoFundMe website page where donations were originally made. With the rise of book-selling giants like Borders and Barnes & Noble in the 1990s, followed by digitized selling popularized by Amazon in the new millennium, independently owned bookstores like Granada have become sort of a rarity. The former editor of the Los Angeles Times Book Review, Steve Wasserman, wrote in 2012 that the number of these stores dwindled from 4,000 nationwide in the early 1990s to just 1,900 in 2011. The onslaught of the economic recession in 2008 only made conditions more difficult for small businesses without the ability to slap discounted price tags on huge inventories. “The chain stores could give customers deeply discounted offerings on a depth of stock made possible by favorable publishers’ terms not extended to independents,” reports a 2013 study from the University of New Hampshire. “Clerks at the chains might not intimately know the tastes and predilections of the surrounding neighborhood, but the price was right: lower was better, lowest was best. At least 25 smaller, independently owned bookstores are located across the Tri-Counties, including a handful in Santa Barbara. Jerry Jacobs, owner of Lost Horizon Bookstore in Santa Barbara, said the area is great for small businesses of all sorts, including bookstores. His shop offers rare and used books, distinguishing it from other retailers, but he said success can be seen with independent sellers of new books such as Chaucer’s Bookstore in Santa Barbara. In Ventura, Clarey and Debbie Rudd have managed to successfully open three small book shops. Clarey Rudd said the pair opened Abednego Book Shoppe in Ventura in 1998, followed by Bank of Books the next year and another Bank of Books location that opened in Malibu in 2012. Rudd opened his first bookstore in 1974, after growing up in his parents’ book shop, and later started selling rare, used and out-of-date books over the Internet in the mid-1990s. Watching the market evolve, he said it was difficult to compete with Amazon — and other Web-based sellers in general — since they didn’t have to charge sales tax in the early years when government regulation still fell short. Other competition came from the huge discounts handed down from chains such as Barnes & Noble and now-defunct Borders. But the ability of independent book shops to support local authors is one saving grace for the smaller industry, according to Rudd. “The chain stores became the same across the country, with very little adapting to the local market,” he wrote in an email. “Independent authors found it difficult to get into the chain stores since buying was done at corporate offices. These days, Rudd said he is starting to see more customers come in and ask for books in print over digitized e-readers. Back in Santa Barbara, Hoshida said she’s thankful for the experience of running Granada. She and co-owner Emmett McDonough opened the store after she had retired from a 37-year career in media at UC Santa Barbara, so she’s excited to have more spare time to spend with her grandchildren.